Futures Program Tryout Dates Announced!! Register Here! Tryouts for the Futures Program for the 2019-2020 season have been announced. Tryouts to be held at the Cal Ripken Field, Manchester East Complex, 313 Tarrytown Rd, Manchester, NH. Players are expected to be at both tryout dates if available. The Futures Program of the NH Prospects Baseball Club is focused on empowering 12 year old and younger athletes by helping them reach their full potential both on and off the playing field. Playing baseball at a high level takes talent, work ethic, commitment, good character and self-discipline. Our knowledgeable baseball staff will prepare players of all ages for the highest level of competition through fundamental & advanced development and strength & conditioning training, all in an environment that promotes accountability, hard work and discipline. 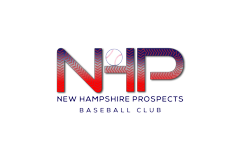 The NH Prospects Baseball Club will provide a high intensity, high-profile, and age appropriate baseball experience all in support of helping our student athletes succeed at the next level, both in the classroom and on the field. Full details of the program can be found by downloading the Program Details Document above.